Level One – Hoglet’s Day. Hoglet found much to do and such a lot to say. was to get out there and PLAY, PLAY, PLAY! was that one could get tired and this Hoglet in his heart knew. each time he would have an excuse for why his promise he would not keep. then he would go in for a sleep at the end of the day. 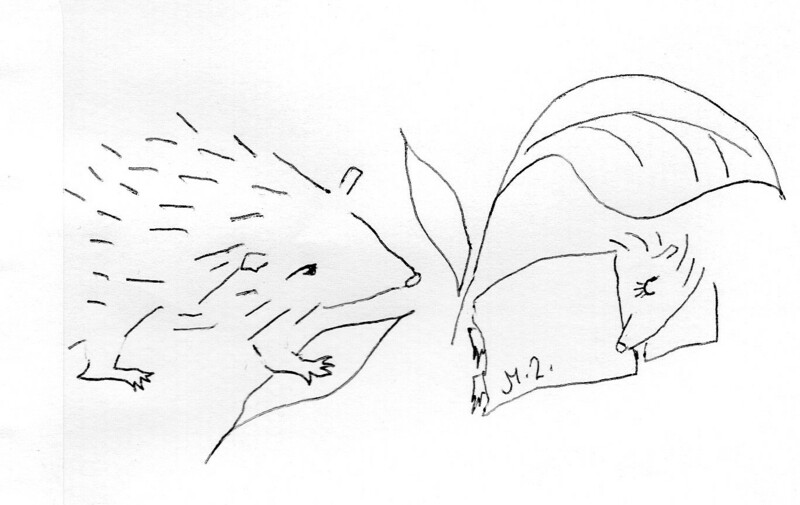 Hoglet’s mum knew each day that he would not his promise keep. he was finding it hard around the garden to roam. sleep was important and a little plan she would see through. Hoglet’s mum decided to play a game of hide and go peep. and going to sleep became a game of its own as Hoglet played in the leaves. Hoglet’s mum found that with her game his promise he did keep. Hoglet would tire and after a while his head on the leaves would lay. a game or two could achieve more than anything done any other way. and now through a game he learnt about the routine of sleep in his leaf filled cot.